I was surprisingly impressed by how well last year’s initial installment of the Diary of a Wimpy Kid series captured the awkwardness of middle school adolescence. 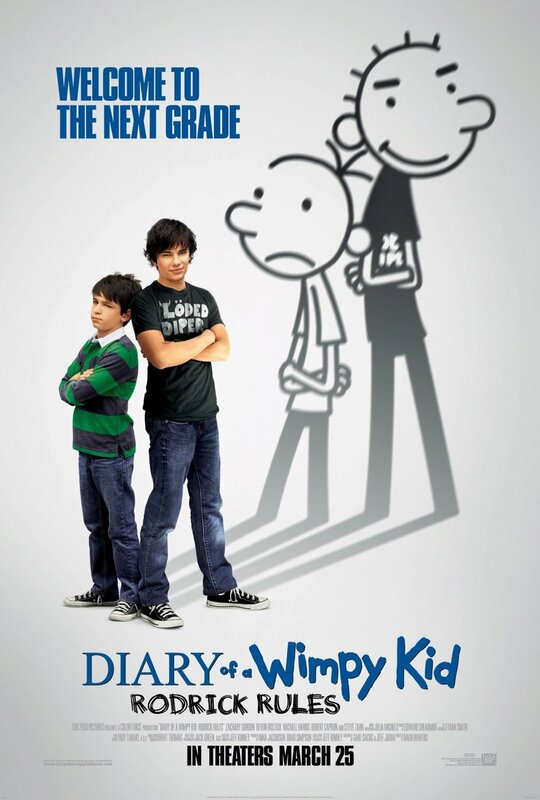 The film’s sequel follows suit with the return of the entire likable cast (minus young in-demand starlet Chloe Moretz) and a new series of trials and tribulations for now seventh grader Greg Heffley (Zachary Gordon) and his pudgy best friend Rowley (Robert Capron). Greg has a new girl to crush on, a new target for torment, and plenty of new opportunities to illustrate that he’s not as smart as he thinks he is. Greg’s older brother Rodrick (the often amusing Devon Bostick) is behaving nicer than usual thanks to his mother’s system of “Mom Bucks” that reward good behavior with cash. The boys grow closer as a result, but inevitably resign to the typical back-and-forth relationship common amongst young siblings. Greg is also busy dealing with Rowley’s seemingly embarrassing new found hobby of magic, but, like in the first film, Rowley proves to be the smarter of the two. Will Greg ever learn to trust his best friend? Maybe once they hit high school, say film number four or five. Diary of a Wimpy Kid: Rodrick Rules opens wide in Philly-area theaters today.